If you thought Instagram was just a photo sharing app, think again. The Facebook-owned social media network, which now boasts more than 75,000,000 daily users, has evolved into a powerful marketing tool and advertising platform. Instagram has rolled out the tools to its current advertising partners, including Banana Republic, Adidas and Michael Kors, whose striking visual ads perfectly fit the aesthetic that Instagram are striving for. 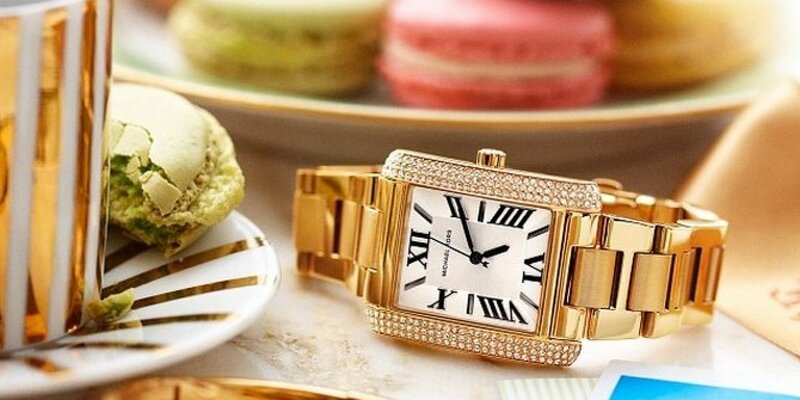 The response from advertisers has been positive; Michael Kors gained 33,000 new followers in the wake of their Instagram ad campaign (16 times more than usual), but feedback has shown that companies want more insight into how their ads are performing and how people are engaging with their content. In response to feedback, Instagram has launched three new marketing analytics tools, which will enable marketers to monitor how their posts are performing in real time, using detailed measurements. The "Account Insights" tool tracks impressions, reach and engagement for a brand's unpaid posts. It also aggregates stats about an account's follower base, with demographic information such as the age and gender of users. It will also advise on the best times of day or week to post, based on user’s activity. 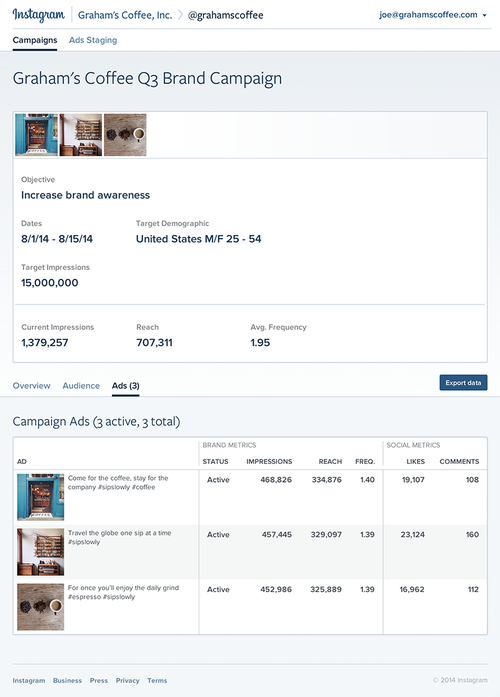 The "Ad Insights" tool measures the performance of paid campaigns in the same way, and tracks a campaign's status so marketers can see how much of the campaign budget has been spent. The "Ad Staging" tool enables creatives to preview their ads before launching them; marketers can upload photos, captions and location information and see a mock-up of the post before it is published. The analytics interfaces will allow advertisers to better understand their audiences and discover what kinds of content they are most interested in. They will also be able to access and analyze their ad campaign data in real-time, rather than waiting for Instagram to send the information manually, upon request. Instagram will continue to add new features and tools, based on advertiser feedback as the tools continue to be rolled out over the coming months. The company is already evaluating adding time-spent metrics for video content, for example, in response to advertiser demand. Advertising on Instagram was inevitable, following the Facebook acquisition and the service’s need to begin generating revenue at last. However, some users won’t care for the further invasion of ads on Instagram, brands have already been participating for some time on the network, growing their follower accounts and establishing their communities. Offering these businesses tools to make better decisions about what users want to see and how well they’re engaged with the company and its shared photos only makes sense as the next logical step.